By clicking that yellow banner advert, you've just proven how effective an online advertisement on KartSportNews can be! If you're representing a company or organisation that wishes to reach the karters of Australia, contact Mark Wicks on the email address below. If you're a regular user of KartSportNews, thanks for viewing the site. Please continue to support the people that support us. Without their support, this site - which provides you with free karting news - would not exist. 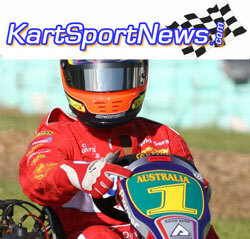 KartSportNews - Australia's Number One karting website?